Thinking about renting your timeshare but not sure how to start? You’ve taken a great first step by researching the process to rent your timeshare here at BuyaTimeshare.com. We’ve been a leader in timeshare rentals for years, so don’t let our name fool you. Thousands of timeshare buyers will rent a timeshare first before they purchase one, so timeshare rentals are an integral part of our business. Regardless of whether you want to rent your timeshare as a way to find a buyer, or you just can’t use your time-share this year and are looking to make some cash to offset your maintenance fees, putting your timeshare up for rent is a great way to put your vacation ownership interval to use. Because of the various ownership arrangements in the marketplace today, you’ll want to first conduct some research to determine if you are eligible to rent out your timeshare. It’s best to check your ownership documents first to see if there are any restrictions to renting your timeshare, but the vast majority of resorts allow owners to rent out timeshares. If you have any eligibility questions, you should contact your home resort. Locate Your Ownership Documents – you should have this information on hand to verify what you own. Confirm Your Ownership Details – make sure you have all of the facts correct about your timeshare, whether it is the unit configuration, number of bedrooms/bathrooms, view and resort amenities. Renters want to know exactly what they are renting. Deeded Timeshare Interest - If you own deeded timeshare, it is considered a piece of deeded real estate and this will allow you to rent out your timeshare similar to renting out a home or a condo. Points – you will need to check your ownership documents to make sure you can rent your points. Exchange Companies – points assigned by timeshare exchange companies cannot be rented out, and doing so may lead to your exchange membership being revoked. 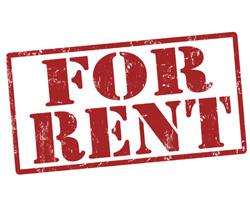 Also - weeks which are obtained as an exchange week cannot be rented out. This is one of the most important decisions you can make. Most timeshare owners begin with the amount of their annual maintenance fees and work from there, since covering the cost of those fees allows you to keep your timeshare for virtually no annual fee. However, it is more important to assess the market demand for your product. Start by searching the resort profile page for your resort here at BuyaTimeshare.com. Our latest website upgrade provides an area where we show the latest rental offers made on timeshares at a particular resort, giving you an idea of what renters are offering to rent a timeshare at your resort. Next, take a look at the timeshare rental advertisements to see what other owners are asking for their time-share. You’ll also want to check with your resort to find out the price they are asking to rent a similar timeshare. When researching, keep in mind the variables involved, as timeshare rental prices can be affected by items such as unit size, resort location, unit view, week owned and the season in which you own your timeshare. Let’s face it – a January week in Ocean City isn’t going to rent for the same amount of money as a June week, so keep those elements in mind. Once you have your details in order and an idea of a price, it’s time to find a renter. It’s one thing to have an available timeshare, but you need to let people know that it’s available. This basic premise is why BuyaTimeshare.com has been in business since 2000, providing an effective platform for owners to advertise their time-share. Google’s own statistics show that an average of 319,000 searches per month are entered into their site for the term “rent a timeshare”, with another 226,000 searches per month for the term “timeshares for rent” and another 186,000 per month for “timeshare rentals”. That is enormous demand from consumers inquiring about renting a timeshare, and a major reason why you should seriously consider online advertising. We spend considerable resources positioning ourselves in front of those vacationers looking for timeshare rentals online. A quick search of our website will show you that we have one of the most robust online marketplaces available - dedicated to the success of connecting timeshare owners with renters as well as buyers. If you’d like to begin the process of finding a renter for your timeshare, then please proceed to the Rent Timeshare box at the upper righthand section of this page and provide us with your contact details so we can follow up with you in a no-obligation consultation. A representative will contact you as soon as possible and provide you with all of the information you need to create an advertisement on our website and begin fielding offers from renters.